Tales of Suspense #92, 1967. “Before My Eyes…Nick Fury Died” | Magazines and Monsters! Alright, so, the tag line of this book might be slightly misleading, but it certainly doesn’t diminish the pure awesomeness of the issue! The first story (Stan Lee & the late, great, Gene Colan) is a Vietnam story with ‘ol Shellhead. 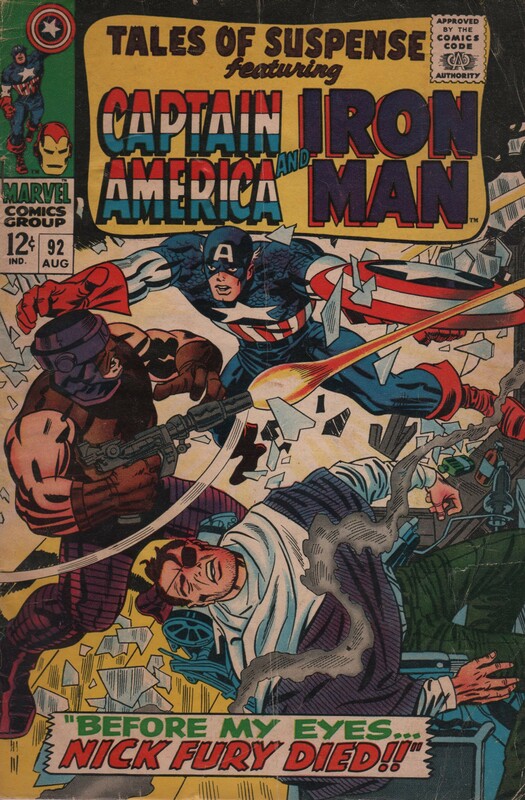 The second story features Captain America (by Stan Lee & Jack ‘King’ Kirby), as he and Nick Fury battle it out with A.I.M.! Cover by Jack ‘King’ Kirby & Frank Giacoia! Enjoy!